First glimpses into Quentin Tarantino’s ninth film Once Upon a Time . . . in Hollywood reveal a meta quality to it, according to an exclusive report by Vanity Fair. The film stars Leonardo DiCaprio as a western film actor along with his stunt double Cliff Booth, played by Brad Pitt in the tail end of what some may define as Hollywood’s Golden Age. 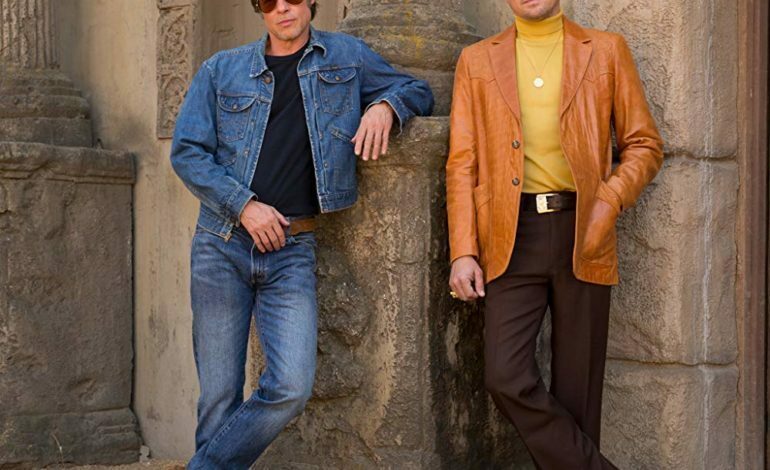 Tarantino’s project has an emphasis on the time period in which the movie is set: 1969. The time was defined by social protests and chaos, as seen through the Tate murders committed by the Manson “Family.” Actress Sharon Tate, one of the victims of these murders, will be played by Margot Robbie in the film. The rest of the film’s cast includes Al Pacino, Timothy Olyphant, Kurt Russell, Tim Roth, Dakota Fanning, James Marsden, Emile Hirsch, Scoot McNairy, and Margaret Qualley. The film will show in theaters July 26.